With the release of the plethora of flagship phones, the Samsung has lost some of its footing as the "sole Android phone manufacturer". With the onset of the Sony Xperia Z, the HTC One, and the LG Optimus G Pro, the S4 is being lost in the crowd. Samsung has announced that the S4 will be slightly redesigned to be water and dust proof, like the Xperia Z. President of Samsung's Gulf division, Yong Soo Kim, has announced that the updated S4 will be available "in the coming weeks". Rumours are also surfacing that the retrofitted device will hit stores as early as July and will be branded as the Galaxy S4 Active. The phone will most likely conform to IP67 standards, like the Xperia Z.
Samsung is no newbie to creating extra durable phones. They are the creator of the Rugby series of IP67 certified phones. This is an International Protection rating which means it is completely dust proof and can be submerged into a metre of water for up to 30 minutes. 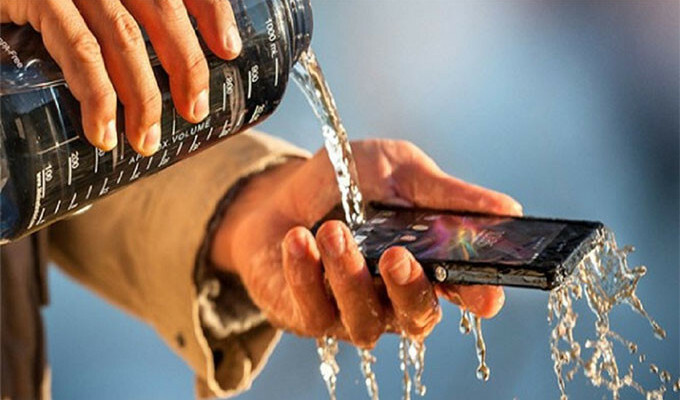 Some concern can also be raised since purportedly the Xperia Z has a sealed battery for waterproofing but the Rugby does have a removable battery. All of these changes has showed considerable worry within Samsung of their market standings. Along with this announcement, Samsung is looking into making its future handsets with an aluminum unibody chassis, like the HTC One. The first with this feature is expected to be the Galaxy Note III which is slated for a September launch. The Galaxy Note III will most likely also come in a more durable 'Active' variant if the market warms up to the redesigned S4. This type of competition will be good for the industry, pushing off a Samsung monopoly, and also will stimulate the research and development of new and better features. With the current pace of the mobile device world, by next year, features that are unimaginable now will be a reality. Things are looking bright for the future and the competition will give the consumer more choice, more features, and lower prices. If you do not want to wait for next-generation features, maybe you could wait a few more months for the Galaxy S4 Active.